This multi layered work examines visual proximity juxtaposed with aural distance. 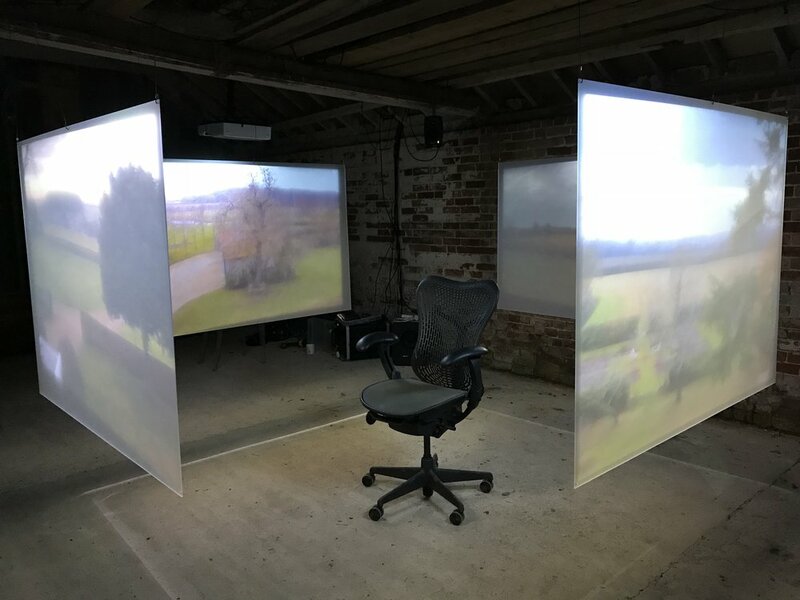 As the chair is turned, soundscapes are revealed which encompass samples taken from 180 degrees in the north/south/east/west directions of the compass. As an interactive work, it is a filtration of visual realism, digital tool handling, the application of generative sounds and mathematical laws. It attempts to transmit, decode and reconstruct an ever-changing natural world that will always be part of our shared limited experience of being human. For the full description of the work, please download the .pdf here.